At one time the second-largest port city in the British Empire, Philadelphia became a pivotal city during the American Revolution and even served as the capital several times. 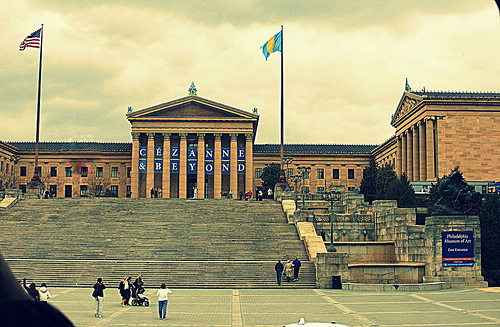 Famous for these colonial roots, the “City of Brotherly Love” is now a major pull for tourists on account of its other attractions: arts and culture, music, outdoor sculptures and murals, as well as the world’s largest landscaped urban park, Fairmount Park, which is also home to the Philadelphia Zoo. Most of the significant sites related to Philadelphia’s colonial history are free, but many do require tickets, so be prepared to arrive early to pick them up. Independence National Historical Park, located in downtown Philly, is home to Independence Hall and the Liberty Bell. Independence Hall sees large crowds, so their ticketing is timed. A walk through this historic landmark, where the Constitution and the Declaration of Independence were signed, offers views of the rooms where they were signed and assorted items from the period. 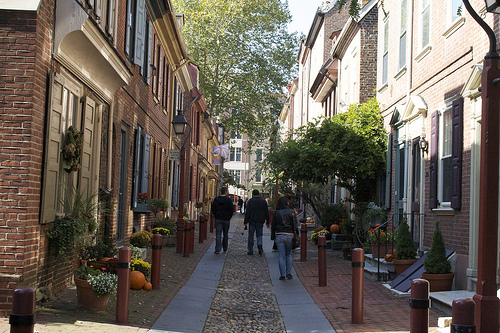 For a more unusual site, pay a visit to Elfreth’s Alley, a cobblestone lane that is considered one of the oldest continuously-inhabited streets in America. More than 30 of the charming row houses here were built in the late 18th and early 19th centuries, and the narrow lane is a peaceful spot for walking and taking pictures. Philadelphia is a city known for its artistic merits. From jaw-dropping glass mosaics to detailed murals, Philadelphia has always been a destination for art enthusiasts. 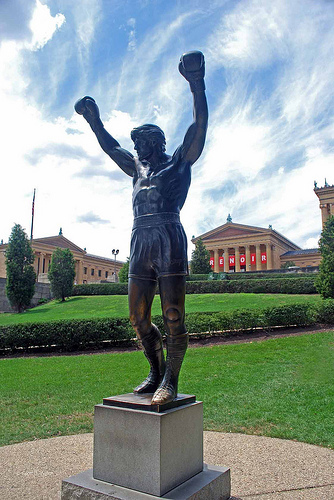 The city is home to more outdoor sculptures than other US city, including several large outdoor sculptures in the garden at the Philadelphia Museum of Art. The museum is famous for another reason: its 72 stone steps played a significant role in the film Rocky, and tourists still visit simply to sprint up the steps. There is also a sculpture of the film’s main character at the base of the stairs, a popular place for taking photos. The unusual also finds its place in Philadelphia. The Mutter Museum, part of the College of Physicians of Philadelphia, has an extensive collection of medical history and oddities including models, medical instruments and unusual anatomical specimens. The city is also home to a wide variety of live events and theater at various venues throughout the city. The Philadelphia Orchestra is in-residence at the Kimmel Center for the Performing Arts, while a few blocks east is the Walnut Street Theatre, the oldest theater in the United States. Music is also a big part of Philadelphia; here was the birthplace of American Bandstand and Soul Train, and the sound of Philadelphia continues to be a wonderful mixture of rock and rap, blue-eyed soul and R&B. From small local groups in intimate Center City venues to big name musicians, such as Justin Timberlake and Beyoncé, filling Penn’s Landing, enjoying a night of music with the family or a group of friends is a great way to spend time in Philly. Whatever the taste, whether history, art or music, a visit to Philadelphia offers something for everyone, young and old. From family-friendly attractions to exciting nightlife, Philly is the place to be.